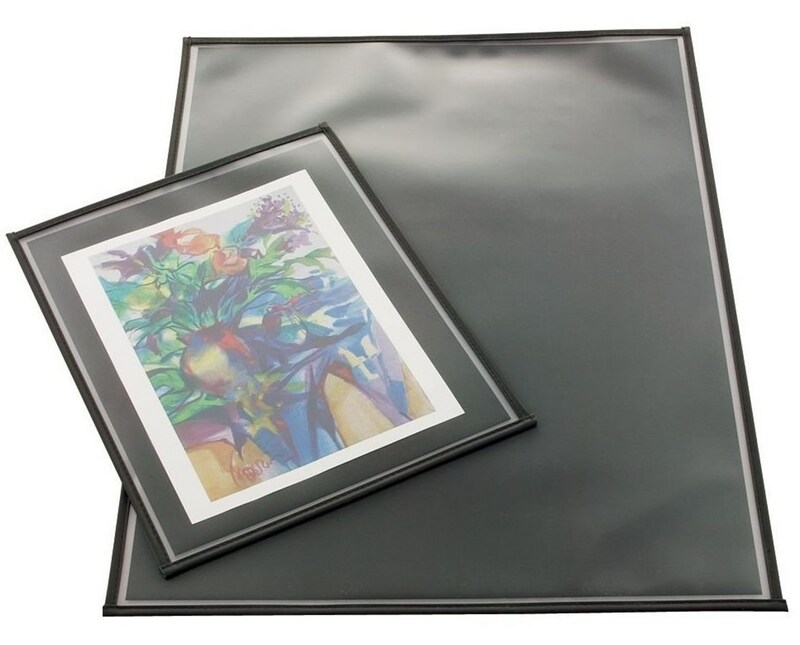 The Prestige Archival Print Protector (6-Pack) is an ideal tool for storing and protecting sensitive and valuable prints such as artworks, photographs, family heirlooms, maps, plans, documents, and many others. Excellent for temporary displays or items that need to be handled frequently, it protects its contents from stress, dirt, fingerprints, and atmospheric pollutants. 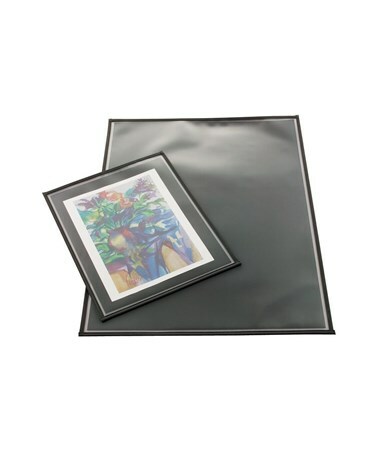 This print protector is made of heavy-duty 0.010-inch thick clear polypropylene with reinforced black nylon binding on all sides. It features sewn edges to provide additional support and strength. Its opening edge is located in the smaller dimension. Acid-free and pH-neutral, it is guaranteed archival quality. The Prestige Archival Print Protector (6-Pack) offers a wide range of sizes to accommodate most display and storage needs. Available sizes are 11"W x 14"L, 14"W x 18"L, 17"W x 22"L, 18"W x 24"L, 20"W x 26"L, 22"W x 30"L, 26"W x 32"L, 30"W x 40"L, and 32"W x 43"L. It contains six protective sleeves in one package. Each sleeve comes with an acid-free, black paper insert. The Prestige Archival Print Protector (6-Pack) offers nine different sizes to suit various storage needs. Please select your preference from the drop-down menu above.